Our CEO, Stanley Chee, was invited by UCSI University to share his Gapture journey with 200 students in SEE Conference 2015. 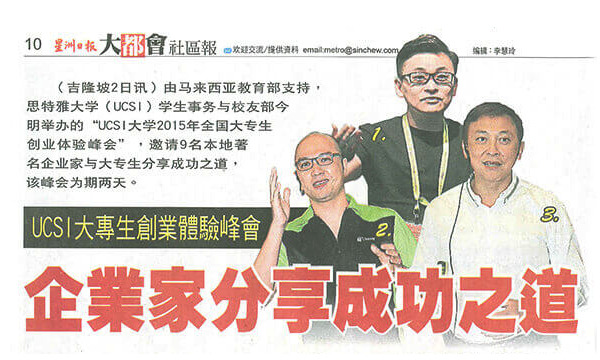 The event was being reported in Sin Chew Press, a major Chinese newspaper in Malaysia. Full presentation slides and notes can be found on his personal blog here.